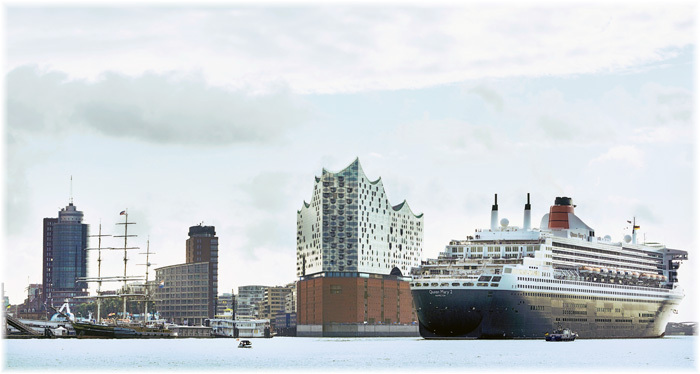 Seven cruise ships participated in the Hamburg Cruise Days that finished yesterday, an event that followed directly after this year’s Seatrade Europe convention in that famous port city. This week we take a closer look at what is going on in Hamburg – the market, the events and the industry. We examine the Hanseatic port’s third cruise terminal, opened just three months ago, and we visit the German cruise fleet’s largest vessel and flagship, Mein Schiff 4. In 2014, the German cruise market expanded to 1.7 million cruisers, outstripping the UK as the largest cruise market in Europe. In the same year, the Port of Hamburg handled 189 cruise ships and 588,000 passengers, up from only about 100,000 six years earlier. About 95% of Hamburg’s present business is turnaround traffic, which, with a third terminal having just opened, may indicate a huge potential as a destination for new calls. This is especially true as Berlin is now only 90 minutes from Hamburg by fast train. By comparison, Southampton presently sees about 400 cruise ships a year and 1.6 million passengers, while Barcelona, the largest cruise port in Europe, with six, soon to be seven, terminals, handles about 2.4 million passengers. In the case of Barcelona, substantially more passengers, about 57.5%, are visiting transit passengers as opposed to turnaround, while Southampton is closer to Hamburg in being mainly a turnaround port. In addition, CLIA Europe’s second annual Port & Destination conference was held in Hamburg on September 8-9. CLIA is celebrating its 40th Anniversary this year. 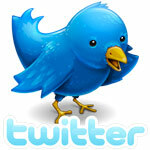 Founded in the United States, the association has more recently gone global. Sailing from Hamburg for this year’s Cruise Days were seven ships. First to leave were the 1,578-berth Costa NeoRomantica and Phoenix Reisen’s 594-berth Amadea, sailing on Friday night the 11th. Saturday was a German night, with AIDA Cruises’ 2,050-berth AIDAbella, with her searchlight display, TUI Cruises’ 2,500-berth Mein Schiff 4, the largest German-based cruise ship, and Hapag-Lloyd’s 400-berth Europa, the most luxurious, sailing one after the other. Last night was reserved for the giants, Cunard Line’s 2,620-berth Queen Mary 2 and 3,274-berth MSC Splendida. The MSC Splendida carries 25% more passengers in lower berths than Queen Mary 2, on 7% less tonnage, but the MSC ship’s passenger space ratio of 42 gross tons per passenger is better than the present industry average for new ships, which is below 40. Queen Mary 2, on the other hand, has a comparatively high space ratio of 56.6 gross tons per passenger. Gross tons are a measure of space that at one time equated to 100 cubic feet per ton. Across the Elbe River from the port’s other two cruise terminals at Cruise Center HafenCity (near the new Elbphilharmonie concert hall) and Cruise Center Altona (where the DFDS ferries used to berth) stands the new Hamburg Cruise Center Steinwerder, the port’s third cruise terminal. Opened in June, the new terminal is located in the main port and, surrounded by container ships, can handle 8,000 passengers in a single day, 4,000 on and 4,000 off. Steinwerder has 365 metres of quay space at the moment, but has a total available quay length of 500 metres. The operator, CGH Cruise Gate Hamburg, is owned 51% by the Port of Hamburg and 49% by Hamburg Airport. The new terminal has adopted much from airport procedures in order to be able to handle large numbers of people on the large new cruise ships. At the same time, unlike older terminals, the new terminal can handle embarkation and disembarkation simultaneously. 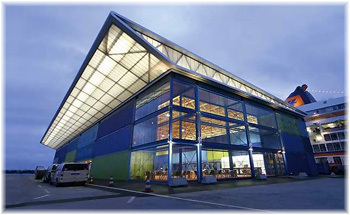 Steinwerder’s so-called €64 million “Cruise Center 3” is located on the Kronprinzkai and is made up of two adjacent buildings, one for arrivals and one for departures. The new terminal, built in just over six months, provides 1,500 private parking spaces and more than twenty coach bays as well as taxi passenger drop-off and pick-up points. One of the unique aspects of the Steinwerder terminal is that its embarkation ramps can actually reach shipboard embarkation areas that are below quay level, with boarding ramps that can be converted into stairs at the lower level. Increasingly, the organisation of Hamburg’s cruise activity will fall under Sacha Rougier, managing director Cruise Gate Hamburg. Coming from the Port of Marseilles, which last year handled 1.35 million cruise passengers, Rougier is now the point of contact for cruise lines for berth assignment and operations at Steinwerder Terminal and, from next year, the port’s HafenCity and Altona terminals as well. Sacha is a native of Holland and former resident of Switzerland who has spent more than two decades in Marseille, for the past five years or so heading up that port’s cruise terminal operations. The appearance of strong female executives in Hamburg is interesting in what in times past has been a very male-dominated shipping industry. This is happening particularly in the cruise industry, where female ceo’s now head up several cruise lines, including Carnival Cruise Line, Celebrity Cruises, Crystal Cruises and TUI Cruises, to name just the most obvious. Cruise Gate Hamburg’s main clients include brands represented by Carnival Maritime GmbH, the new Hamburg-based ship-operating arm of AIDA Cruises, Costa Cruises and Costa Asia. Among Carnival Maritime’s new executives, Norwegian Anette Bjerke, vice president of fleet cruise execution, looks after the Costa fleet. Anette comes from a background with DNV, the ship classification society, as well as in cruise ship and offshore oil consulting in Norway and London. There is no doubt that the cruise industry is bringing good jobs and good future prospects for the people or Hamburg. Increasingly, as is often the case in the shipping industry, and particularly Carnival Maritime, with its previous fleet operating offices in Genoa and Rostock, the language at work is English. Like Anette, Carnival Maritime’s managing director, Jens Lassen, is a Norwegian, who for the past two years has been senior vice president marine operations at AIDA Cruises. On boarding the 99,526-ton Mein Schiff 4 at Hamburg’s Altona Cruise terminal on Saturday, one of the last things one might expect is that Captain Todd Burgmann, the master of this flagship of the German cruise fleet, is an American. Not only is he an American but he’s from the inland city of Omaha, Nebraska. And not only is he from Omaha, a thousand miles from the sea, but he’s also a captain in sail, steam and diesel – unlimited to any size ship. Between 2007 and 2010 Burgmann commanded the famous Krupp-built sailing yacht Sea Cloud before going on to command Windstar vessels for a time. He is also active in maritime training and, among other things, has designed an Integrated Bridge Systems (IBS) course for navigators that were charged with bringing a new fleet of lakers from shipyards in China to join the Canadian Great Lakes fleet. In addition to training navigators he delivers yachts in his spare time. Burgmann has been working for TUI Cruises since April 2014. Mein Schiff 4 was delivered this June from the specialist cruise ship builder Meyer Turku in Finland. This premium all-inclusive ship with fifteen decks provides a wealth of entertainments and diversions for German-speaking passengers from wherever in Europe. Culinary delights are available from eleven restaurants and bistros. Chief among these is the Atlantik Restaurant, which includes the ship’s main a la carte restaurant on the lower level and above that two more dining alternatives, the Atlantik Brasserie (which replaces a previous Asian fusion venue) and an Italian restaurant, tailored to Mediterranean cooking. On the buffet side, there is Ankelmannsplatz, named after the head office location of TUI Cruises and its upmarket affiliate Hapag-Lloyd Cruises. Other options include Surf & Turf and GOSCH Sylt for fish lovers, while the Diamond area aft offers alternative venues with sea views from a range of bars and lounges in the Grosse Freiheit, named after the nightclub area of Hamburg. Meanwhile, up top, Mein Schiff 4 provides well-being in new dimensions, with gyms, sauna, personal trainers and other means of staying healthy. The spa offers a large number of treatments: among them the Sun Massage on deck 10 or the Finnish sauna, which has panoramic windows, as do the running machines, looking onto the sea. On the top deck there is also a small stadium for watching basketball or other sports and contests. This area is also equipped with a viewing screen for watching off-ship events. Some 82% of the cabins and suites on board Mein Schiff 4 have balconies, and rooms range from 183 to 430 sq ft. Outside cabins constitute 90% of the accommodation, with only 10% being inside. All accommodations are en suite with safe, Nespresso machine, hairdryer, flat screen television, telephone and bathrobes. The double-deck Sky and Seas suites also come with their own private lounge at the top of the ship facing over the bows. Four more sister ships have been ordered, with the provisionally-named Mein Schiff 7 and 8 being a little larger than the first half-dozen ships. With six such ships on the way, this is a building program for 15,000 berths, which if used for an average of ten days per cruise would add another 525,000 passengers to the German cruise market. No wonder the Germans are pulling so quickly ahead of the UK, where none of the local lines other than Thomson presently has any known plans to add any more ships to their fleets. The last to be delivered was P&O Cruises’ 3,647-berth Britannia, while Cruise & Maritime Voyages also acquired the 1,250-berth Magellan from Costa. Overall, the new TUI ships are very comfortable to be aboard. They offer a different product to AIDA’s “Club” ships, which base themselves on buffet-style dining. TUI’s ships, although also offering alternative dining venues, mark themselves apart by including a la carte dining in the cruise fare. Hence the use of the term “premium all-inclusive,” with fares that come in at around €170 per person per day, and ships that are very much in demand.